LAHORE, Pakistan (Morning Star News) – A Muslim mob in rural Punjab Province, Pakistan stormed a police station to continue beating a 16-year-old Christian boy accused of blaspheming the Koran, sources said. Asif Masih, illiterate and mildly mentally challenged according to his father, was so badly beaten by the mob in Punjab Province’s Gujranwala District on Aug. 12 that he “confessed” in order to try to stop the violence, the sources said. Police charged Asif even though they determined no motive or means for allegedly setting fire to a copy of the Koran and an Islamic booklet at a Muslim shrine in Jhamkey village, in Ali Pur Chattha of the Wazirabad area. A rival garbage-scavenger who watches over the shrine to Sufi figure Pir Sandhay Shah said someone burned pages of the Islamic scripture on July 18 or 19, and when Asif Masih happened by on Aug. 12, he seized Asif and shouted that he had done it, said Asif’s father, Stephan Masih. Rival scavenger Muhammad Nawaz, alias Majhoo, didn’t want Asif collecting scrap near his shrine because it hurt his own collecting and people’s visits to the shrine, the accused’s father said. Asif helped provide for the family by selling reusable items among the garbage, he said. He added that Arshad, the chief prayer leader at a local mosque, arrived and, without confirming any facts, joined the beating of his son. His son narrowly escaped death, he said. Ali Pur Chattha Station House Officer Malik Irfan said that police registered a case against Asif under Section 295-B of the blasphemy law, which outlaws intentionally defiling, damaging or desecrating the Koran or an extract, punishable by imprisonment for life. The complainant, however, was not Nawaz but Arshad, who accused Asif of taking a copy of the Koran from the shrine and setting it on fire, Irfan said. The police official said Arshad alleged that the Christian had “confessed” to the crime in the presence of Majhoo, a witness in the case. The investigating officer in the case, however, Sub-Inspector Pervez Iqbal, said that two witnesses and the complainant, Arshad, had testified only that Asif committed blasphemy, making no mention of a confession. 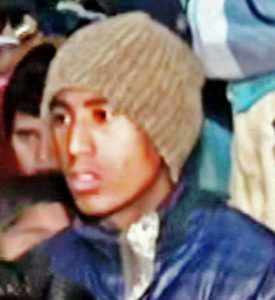 Irfan claimed that because Asif had confessed to burning the Koran, “there’s no need for recording the statements of the other witnesses.” He could not say what might have driven Asif to burn the Koran. “The Christians should be grateful to the police for saving the boy from the enraged mob,” he said, adding that Asif might have died had police reinforcements from Ali Pur Chattha not reached Jhamkey in time to bring order with help from local political and religious leaders. No case has been registered against the mob for storming the police check-post and beating the accused. Imam Arshad told Morning Star News and other media that he did not witness the alleged blasphemy, saying only heard about it from Nawaz, alias Majhoo. “I haven’t seen the accused burning the Koran,” he said, adding that he became the complainant because he was an elected councilor and a Muslim leader in the area. Arshad claimed that he helped police save Asif when the mob was beating him. In the First Information Report (FIR No. 293/17), he states that he, Nawaz and Munawar Hussain were saying prayers at the shrine when Asif arrived, picked up a copy of the Koran and a Surah Yaseen booklet (containing a chapter from the Koran) from the bookstand and torched them on the shrine’s stairway. He alleged that while the Koran was destroyed, he had managed to save some half-burnt pages of the accompanying booklet as evidence. Other unsuspecting Christians have fallen victim to Pakistan’s controversial blasphemy laws. Last month, a 17-year-old Christian boy was charged with blasphemy after a leader of a local Islamist group accused him of disrespecting Islam’s prophet Muhammad. Shahzad Masih was charged under Section 295-C of the blasphemy law, which carries a maximum punishment of death or life imprisonment. The mother of Shahzad Masih said that her son, who worked as a sweeper in a local private hospital in Gujrat District, had been wrongly implicated in the case by a Muslim colleague with whom he had a quarrel 10 days prior. At least 480 people have been charged under Pakistan’s blasphemy laws from 2010 to 2017, according to a rights group. Seven were given short-term imprisonment, 18 life imprisonment and 24 the death penalty, though no one has been executed under the statutes. Pakistan’s government and state institutions have repeatedly expressed the intention to stop the blatant misuse of the blasphemy laws, but thus far there has been no sign of political will to do so.